In case of concrete mix design, after all considerations for strength and durability, a water-cement ratio is fixed which is followed by necessary adjustment due to moisture deficiency or excess in aggregate mass. The normally adjustment is deficiency or excess amount of water is either added or cut off from water-cement ratio. Is all moisture deficiency absorbed? If not how much moisture is absorbed? What are the effect of this on reach and lean concrete mix? In case of coarse aggregate there have also movement of moisture form surface to interior mass of aggregate, which is not usual in fine aggregate. We have provided idea about pore size and porosity of aggregate in our previous posts. Now why should we discuss about dry aggregate? We can change in moisture condition before mixing in concrete. In case of dry and hot climate, excessive moisture may be loosed from aggregate before mixing and in some batching plant where conveyor belt is used; the dry air can absorb moisture from aggregate. 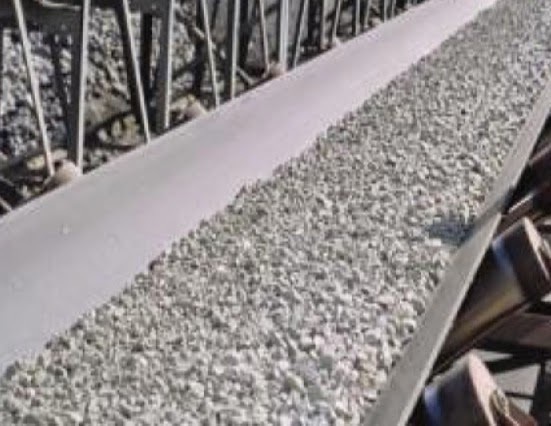 Dear reader we have provided ACI code provision for hot weather concreting and also requirements for using conveyor belt in concrete production. It is usually assumed that required water will be absorbed by aggregate to reach saturated condition. In dry weather, where there is no way to allow aggregate to lack moisture, actually aggregate cannot absorb sufficient water required for saturation. This is due to rapid coating of aggregate with by cement paste. The coated aggregate losses its water supply from the concrete mix, required to reach saturated and our assumption becomes invalid. This condition is prominent in coarse aggregate as it has option for water to travel from its surface to interior pores remain in aggregate. So the water-cement ratio that we assumed becomes higher than that of actual case of partial absorption of moisture into the aggregate. The term ‘rapid coating’ is not always valid as it depends on cement or cementitious content in concrete mix i.e. coating rate becomes slower where cement content is low. So in case lean mix this partial saturation situation is not valid. So water-cement ratio is carefully set in case of rich mix. The water absorption of desired aggregate for duration identical to the tentative coating time of aggregate is examined. Depending on the result (degree of saturation) water-cement ratio is designed. It is interesting to know that the behavior of mix is actually affected to some extent depend on sequence of feeding, in to the mixer, different ingredient of concrete. You want to see boom lift images in internet and enquiry about this.